Halloween is becoming bigger and bigger in the UK every year, with Brits copying our American friends with the enthusiasm put into spooky parties, costumes, decorations and activities. If you want to join in on some of the ghoulish events, why not book luxury minibus hire to some of the best places to visit for a Halloween break? 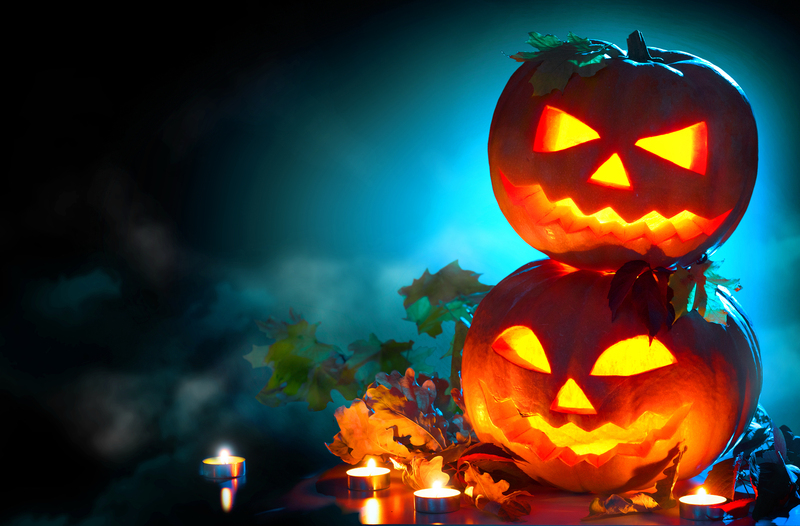 Here is our pick of the top destinations for Halloween fans out there. There’s always something quite spooky about old cities full of ruins and a history of battles. That’s probably why Edinburgh tops our list for its ancient, winding streets, ghoulish folklore and haunted past. One of the best ways to experience the Scottish capital this Halloween is to go on its City of the Dead Tour. You will find a huge number of ghost walks around Edinburgh, but few are as spooky as the City of the Dead Haunted Graveyard Tour or the Underground City of the Dead Tour. The first takes you on a trip around the Covenanter’s Prison and the Black Mausoleum, where many visitors claimed to have encountered the Mackenzie Poltergeist. This has become the most common supernatural experience in the world, with countless people saying they have been attacked by the spirit over the years. Equally frightening is the underground tour through the city’s ancient vaults. Not only is this a truly terrifying place to wander around at night, but it is thought the South Bridge Entity haunts the tunnels, particularly Damnation Alley. Tourists are reminded they “join the tour at [their] own risk”, revealing just how haunting these adventures might be. One of the most famous locations in the UK for its connection to Halloween has to be Pendle Hill in Lancashire. It was here where the famous witch trials took place, condemning 12 women to death for witchcraft in 1612. Despite being hundreds of years ago, the area has remained embroiled in mystery ever since, and thousands of people visit the quiet countryside location for its ancient history and legends. It is thought the site where the witches were killed is meant to be haunted, so much so that locals do not walk on the hill once the sun sets. If you do not scare easily, however, you can hop on the Pendle Witch Country Tour. These guided trips bring visitors to the most famous sites of the witch trials, taking in some of the beautiful countryside on the way. If folklore and witchcraft don’t scare you, why not head to Aberystwyth in Wales and brave the Terror Mountain? From October 19th, visitors can take part in four ‘terrifying horror experiences’, including The Unknown, Retribution, Summoning, and Relic. They take place in the Silver Mountain Woods, creating horrifying enactments that will certainly leave you screaming all the way home!